Let me begin by apologizing to you. 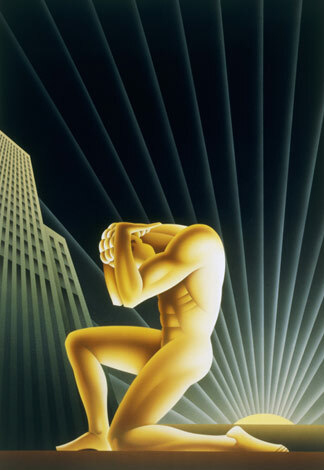 I’m sorry I didn’t see Atlas Shrugged when it came to my local theater. I meant to, of course. I’m a good libertarian, I promise I am. I read Lew Rockwell. I think business owners, not namby-pamby lawmakers, should decide whether people can smoke cigarettes inside their establishments, even though I personally think smoking is disgusting. The ever-more-omnipresent commingling of government and capitalism makes me feel all icky inside. I get tired of movies that beat me over the head with messages about how evil capitalism is, but I see them anyway, even though it’s this country’s freedom that drives the money into those capitalist filmmakers’ pockets. Yet I didn’t see your movie, even though it came to my local theater. Because the reviews were bad. The critics hated it. The populace hated it. I love Ayn Rand so much, but I couldn’t bring myself to pull the trigger. And because of me, and other similarly traitorous free market fanatics, your movie didn’t really do all that well. Tonight I finally got around to watching it. And now I can safely say that I agree with you. I think a large part of the slamming is that America hates capitalism. As for me…. I was enthralled the entire time. The acting was phenomenal, especially considering that most everyone in the movie was a relative unknown. (Except my buddy Snyder.) The cinematography was quite beautiful. I loved the rich colors (as opposed to the blue-and-orange palette so favored by basically everybody these days). The mountain scenery was gorgeous. And seriously, I could gaze at Taylor Schilling’s sweet face all day long. She was perfect for the role of tough-as-nails Dagny Taggart. Most importantly, the movie had a message for anyone willing to listen. My father and I kept remarking on how eerily accurate Rand’s predictions have been even 50 years later. Skyrocketing gas prices. The condition of the economy. The government’s finger in every pie. Twentieth Century Motors. I’m only astonished that so many people could watch this movie and fail to recognize the state of this country, in every industry that has fled the country due to our oppressive regulations and suffocating cronyism. The final scene of Part I was so well-done, I cheered right there in my living room. So imagine how thrilled I was to hear that you are still planning on making the second installment, despite the mediocre reception of the first one. I am delighted you believe in this project enough to keep backing it with your hard-earned money. And I promise that this time, I will be the first in line for a ticket.